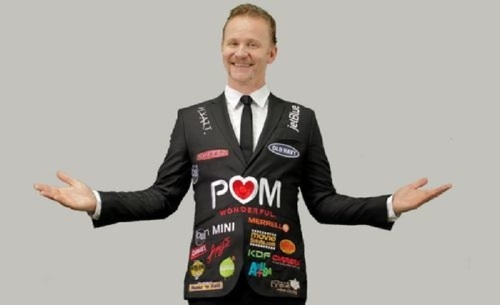 Morgan Spurlock has followed up on his 2004 documentary Supersize Me” with an engrossing and entertaining movie about the evolution and proliferation of product placement in movies. His premise is that for modern movie makers the only way to finance a film is through product placement and commercial gratuities. The camera follows Spurlock as he seeks commercial sponsorships to finance his new movie about movies financed by commercial sponsorship. This logic creates a feedback loop that would make my mother’s head explode. Viewers must concentrate to follow the narrative to comprehend when they are viewing the movie as opposed to the financial making of the movie. Thankfully concentrating on this movie is easily done. Audiences are glued to the screen. Except for frequent outbursts of shared laughter the theatre is silent; no shuffling in seats, no talking, no opening of bags of food.. This satirical documentary is very much aware of the irony it has created by being a movie about product placement, which is in itself full of product placement. In fact Morgan takes the irony and uses it to great effect creating some of its most comedic and poignant moments. Spurlock shares his own amusement in the film consistently through, promising and delivering numerous benefits to companies in return to their dollars. Although difficult to sign sponsors early on The Greatest Movie Ever Sold had made a profit before it was ever open and sold to the viewing public. Un-heard of in contemporary film making – let alone documentaries. It may not be possible to be simultaneously both subtle and blatant, but Morgan gets as close as anyone ever has. Throughout the film Morgan struggles with the issue of making this particular film whether he has “sold out” or “bought in” ultimately this question can only be asked by the audience themselves. When talking ticket sales he has definitely sold out. If you want to see this film get on line and book tickets early. Documentaries should not be this entertaining.